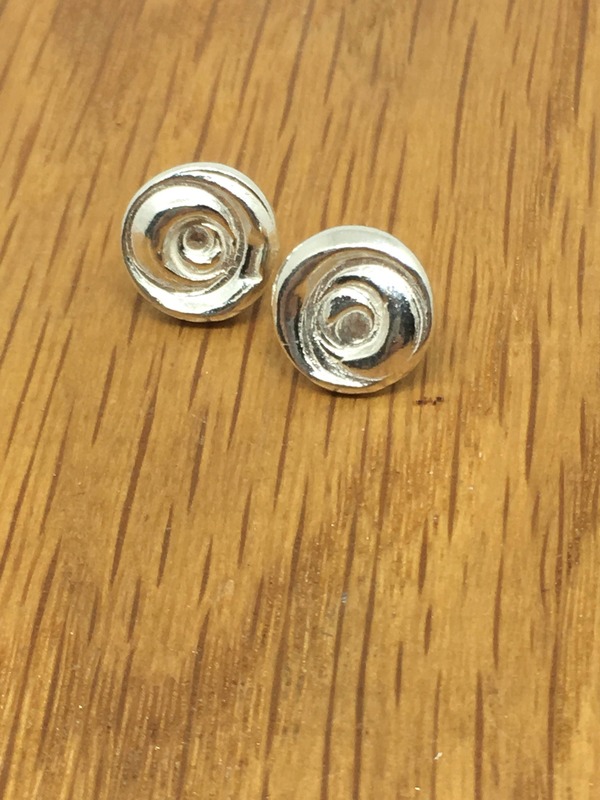 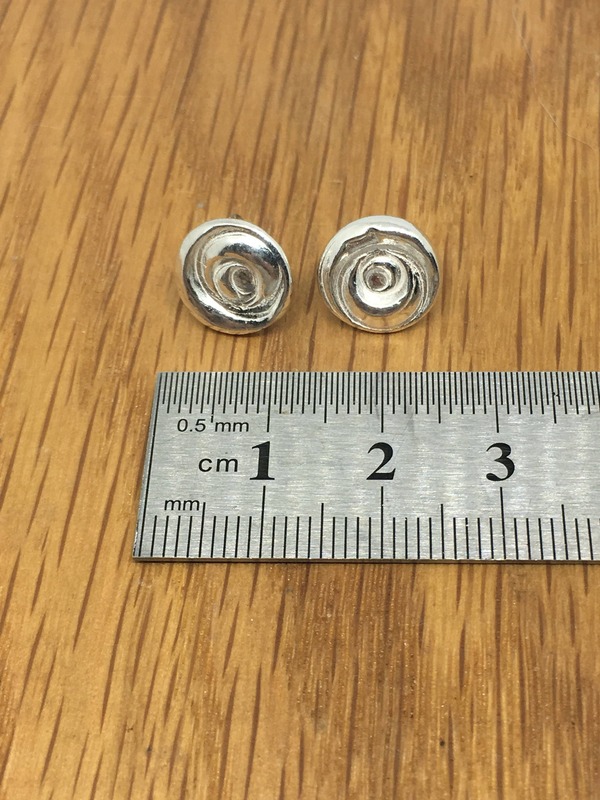 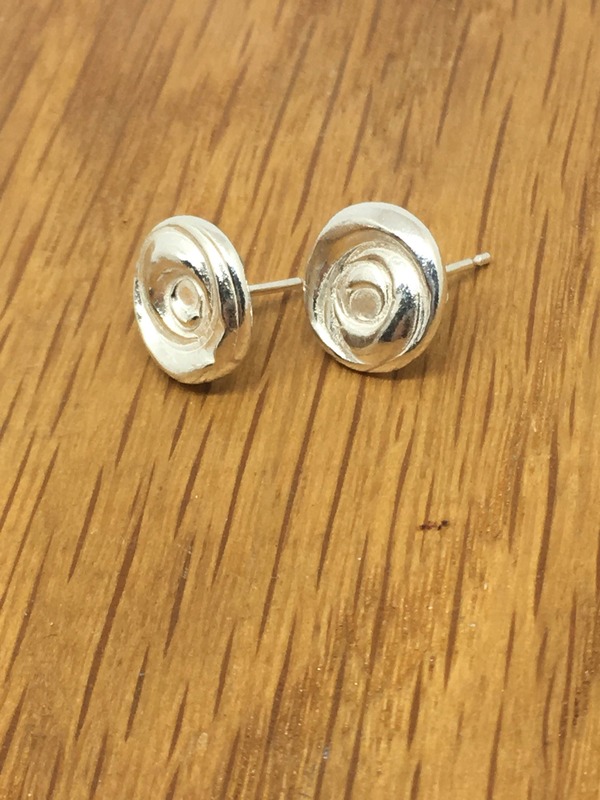 These simple rose stud earrings were handmade using fine 99.9% silver with sterling silver earring backs and butterflys. 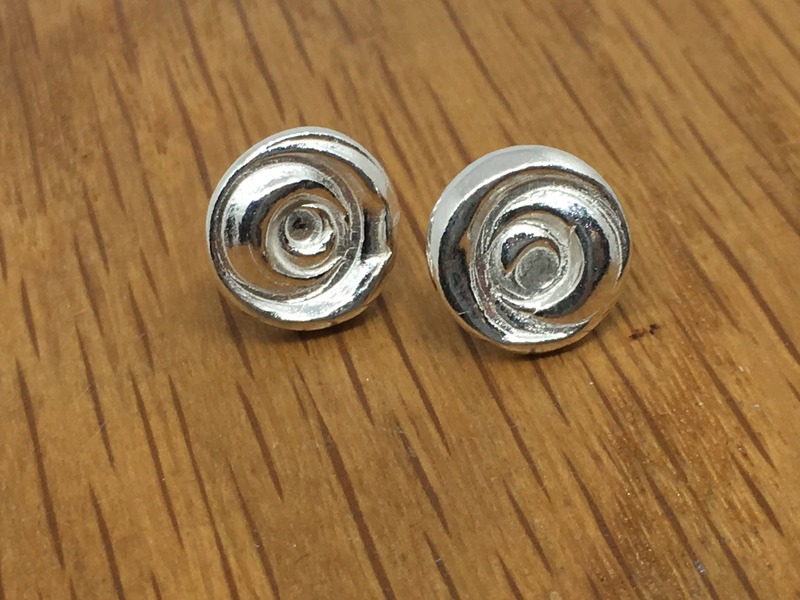 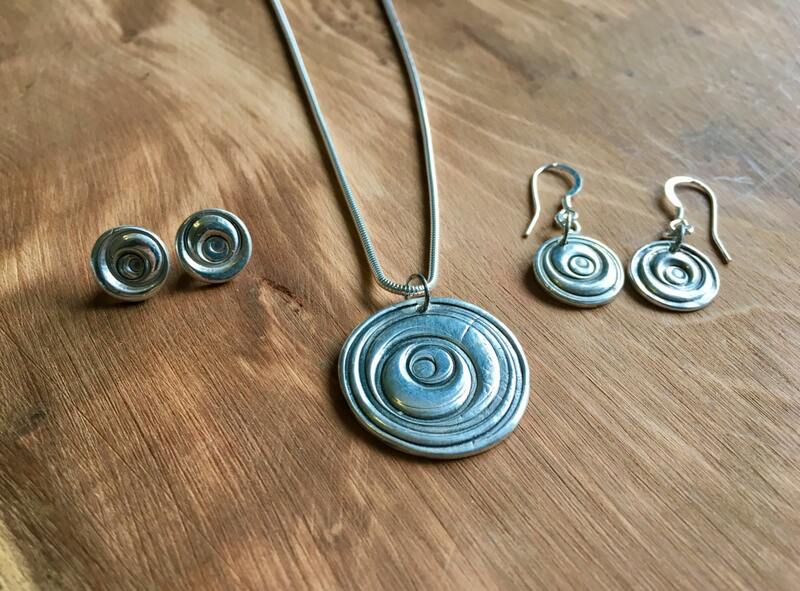 They were hand formed in fine silver before being fired, filed, hand polished and then tumbled in a barrel polisher to bring out the shine and make sure they are as durable as possible. 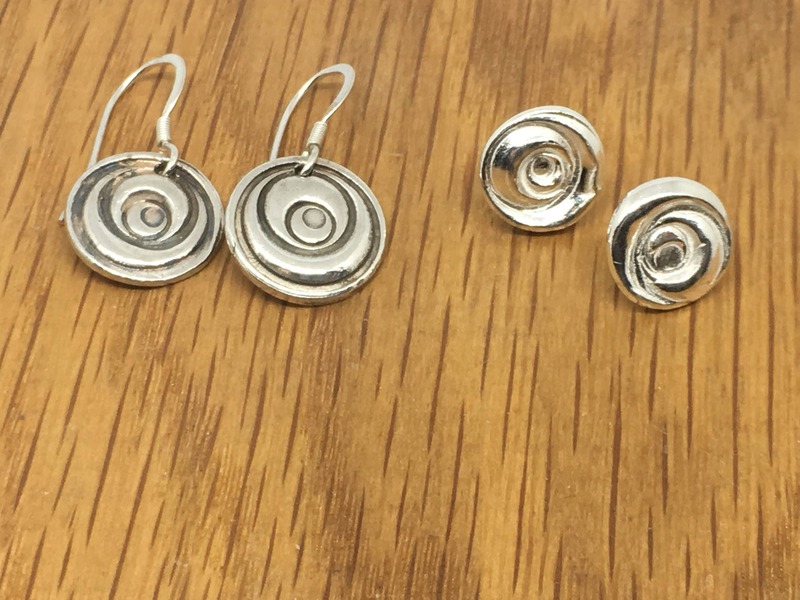 Matching pendants, drop earrings and bangle charms are also available to purchase.